For those in unhappy, unsuccessful, or harmful marriages, a lot of time can be spent wondering what life would look like outside of relentless negativity that can bend one’s soul to the breaking place. As potential divorcees approach the decision, they often consider whether the post-divorce lifestyle compromises would be worth the tradeoffs. They may think, “Can I afford divorce?” That’s where Kathryn Wayne-Spindler’s Pre-Divorce Consult comes in. Although the Milford, Michigan law office offers free initial consultations, they are not meant to get into the meat of an individual divorce. “A free consultation allows us to get to know each other and for me to share the big picture of the divorce process.” The one-hour Pre-Divorce Consult allows Kathryn, Jeff or Keri time to really dig into an individual’s case and give personalized advice. “Think of it as the difference between a school Open House and a Parent Teacher Conference,” said Wayne-Spindler when comparing a free consult to her one-hour Pre-Divorce Consult. Share planning documents that allow you to be prepared whether you file tomorrow or next year. Contact the Milford, Michigan law office of Kathryn Wayne-Spindler & Associates to schedule your Pre-Divorce Consult at 248-676-1000. To get the most from your consult, bring in approximate account balances; assets; income; and debt amounts as well as a basic household budget. It can help to have a recent tax return on hand. Although there are no guaranteed legal outcomes, the information Kathryn Wayne-Spindler provides in the Pre-Divorce Consult can dispel mythical scenarios built on faulty assumptions. Running the numbers can give people a reasonably accurate picture of what to expect after divorce. 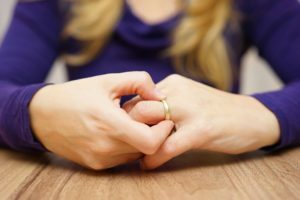 Sometimes people may base their divorce decision on an inaccurate picture of their anticipated post-divorce financial situation. Stories abound in both directions. And truth and reality are especially disparate in situations where one spouse handled the family’s finances. “I’m often surprised at how little some clients know about divorce before they are involved in one,” said Kathryn Wayne-Spindler. Some people may put off divorce because they read some article that judges are not awarding alimony. Or they heard a story that mothers never pay spousal support regardless of who makes more money. For those not used to paying the bills, they may imagine that they need more to live on than they really do. These people sometimes endure abusive situations because they imagine they will get nothing in a divorce. On the other end of the spectrum, occasionally clients are shocked to discover they are entitled to less than they imagined. This is especially true in high-asset divorces. Friends or relatives’ experiences – No two divorces are alike. Many people focus on the length of the marriage and the parties’ incomes but there are so many factors that go into calculating support that even a couple minor differences can skew the support results from couple to couple. Internet calculators – Prognosticators can be useful tools…in the right hands. 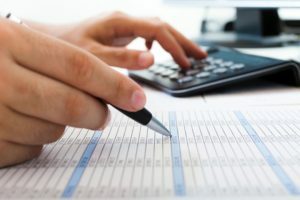 Attorneys are familiar with the ways that imputed income and tax repercussions impact divorce clients. It would be irresponsible to approach divorce based on the results from a five-question online survey. Past divorces – Times change. Common expectations a decade ago may be the opposite today. Legal cases from other states or regions – Each state/county/judge has different guidelines for dividing assets and awarding support. A local attorney is the best source for first-hand knowledge of each jurisdiction. Pre-nuptial agreements – Although many pre-nuptial agreements hold up in divorce, there are certain standards that judges cannot ignore. For instance, asset division cannot be punitive or leave one party destitute. Kathryn Wayne-Spindler advises potential clients that the decision-making process should be three-pronged. In addition to legal counseling, each party should know their financial situation and attempt couples or individual counseling. Although Kathy is compassionate and understanding with clients, it’s better for couples to work through their disappointment, anger and grief with a counselor leaving her more time to concentrate on their legal situation. Contact the Michigan Law office of Kathryn Wayne-Spindler & Associates at 248-676-1000 to set up a one-hour Pre-Divorce Consult. Our experienced attorneys can provide valuable legal information to help potential clients as they determine whether they should separate or remain married. We handle family law cases throughout Southeastern Michigan including Oakland, Wayne, Washtenaw, Genesee and Livingston counties. 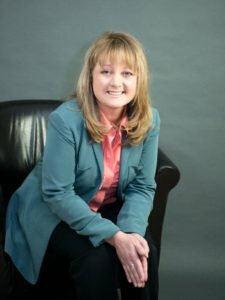 The law firm helps clients with divorce, child custody, child support, stepparent adoption, estate planning and adoption in Milford; Highland; Hartland; White Lake; Walled Lake; Commerce Township; Waterford; New Hudson; Howell; Brighton; Ann Arbor; Holly; Grand Blanc; Linden and many more local communities.